1)Shanghai Lianheng Isocyanate Co., Ltd.
2)Shanghai BASF Polyurethane Co., Ltd.
2007/8 Basell : Leading contender for BASF styrenics? A takeover of Germany's BASF AG is not impossible, the chief executive of the world's largest chemicals company by sales said. "BASF is not that big that it can't be taken over," Juergen Hambrecht told reporters in Stuttgart late on Wednesday. He said he expected further consolidation in the chemicals industry because the top 10 global companies controlled only about 20 per cent of the global market. BASF operates its steamcrackers, "heart" of verbund sites (Ludwigshafen, Germany 1965 and 1980; Antwerp, Belgium 1994; BASF, along with FINA Port Arthur, Texas, 2001; Nanjing, China planned) mainly for captive use. In addition BASF markets cracker products e.g. within the chemical industry, refineries, plastic industry, steel- and automotive industry. BASF has significant expertise ­ unequaled anywhere in the world ­ in the carefully planned networking of factories, with efficient integration of production and energy supply ­ the Verbund. The concept of Verbund began with integrated production, which grew out of the history of the Ludwigshafen site. Integrated production implies effective utilization of resources and also reduced waste and emissions ­ synergies, which cut costs and increase cost-effectiveness. Integrated systems are also used by BASF in relation to its wide-ranging technical expertise. Combining knowledge from different disciplines at one location maximizes the benefits to be obtained. Examples of areas included are research and development, toxicology, technical service and engineering technology. Plastics are a core sector for BASF. The BASF Group is among the largest plastics manufacturers in the world, with one of the most comprehensive product ranges. is a venture between BASF Corporation and ATOFINA Petrochemicals, Inc., a subsidiary of TotalFinaElf SA. The limited partnership, in which BASF holds a 60 percent share and ATOFINA holds a 40 percent share, was formed to manage the operations of the steam cracker project and related facilities. BASF Corporation (Mount Olive, N.J.) and FINA, Inc. (Dallas, Texas) jointly announced today that the boards of both BASF Aktiengesellschaft (Ludwigshafen, Germany) and PetroFina S.A. (Brussels, Belgium) have given final approval to build the world's largest single-train steam cracker. The facility will use a special technology for enhanced propylene production, thereby providing a nameplate capacity of 1.9 billion pounds (860,000 metric tons) of ethylene and 1.9 billion pounds (860,000 metric tons) of propylene. BASF will acquire the global engineering plastics portfolio of Honeywell, which is primarily comprised of the product line Capron® nylon and alloys (polyamide). These products will complement BASF's engineering plastics portfolio of Ultradur® thermoplastic polyester (PBT), Ultraform® acetal copolymer (POM), Ultrason® E polyethersulfone (PES) and Ultrason® S polysulfone (PSU), and Ultramid® nylon-based engineering plastics. Honeywell's global engineering plastics portfolio includes nylon, polyester and alloys offered in the Capron® (nylon 6 and nylon 6,6), Petra® (post-consumer recycled polyester) and Nypel® (post-industrial nylon 6) product lines. The agreement covers polymerization and compounding facilities, research and development assets and sales and technical service locations in North America, Europe and Asia. The Honeywell business currently employs about 500 people. Diversa Corporation is a leader in applying proprietary genomic technologies for the rapid discovery and optimization of novel products from genes and gene pathways. Diversa is directing its integrated portfolio of technologies to the discovery, evolution, and production of commercially valuable molecules with pharmaceutical applications, such as optimized monoclonal antibodies and orally active drugs, as well as enzymes and small molecules with agricultural, chemical, and industrial applications. Diversa has formed alliances and joint ventures with market leaders, such as The Dow Chemical Company, DuPont Bio-Based Materials, GlaxoSmithKline plc, Invitrogen Corporation, and affiliates of Syngenta AG. BASF and Ticona, the technical polymers business of Celanese AG, have reached an agreement under which BASF will acquire the worldwide nylon 6,6 business of Ticona, effective December 31, 2003. Financial details of the transaction were not disclosed. In 2002, the business to be sold generated sales of around Euro 45 million. BASF Aktiengesellschaft, Ludwigshafen, Germany will divest the so-called phenoxy herbicide business (agrochemicals to control weeds, globally known under the trade names U 46® and Duplosan® ) to Nufarm Limited, Melbourne, Australia. The sale comprises the six active ingredients 2,4-D, MCPA, Mecoprop-P, Mecoprop, Dichlorprop-P and Dichlorprop with sales of about Euro40 million in 2002. The transaction includes registrations, trademarks, intellectual property rights, customer lists and inventories. On March 29, the integrated isocyanates complex, jointly invested by BASF, Huntsman, Shanghai Huayi (Group), Sinopec Shanghai Gaoqiao Petrochemical and Shanghai Chlor-Alkali Chemical, kick off at the Shanghai Chemical Industry Park. The startup was put off by around three months than the planned schedule announced by Huayi (CCR 2003 No.33 page 6). The US$1.5 billion project is expected to complete in 2006. After completion, it will supply annually 240 000 tons MDI (diphenylmethane diisocyanate) and 160 000 tons TDI (toluene diisocyanate) to the domestic booming polyurethane sector. Bayer also has an intention to set up an isocyanates project in Shanghai. Yantai Wanhua, a local MDI producer, is planning for the 160 000 t/a MDI unit in Ningbo, south to Shanghai. Today, August 24, 2004, BASF will officially inaugurate a new production plant for the fine chemicals intermediate citral at its Ludwigshafen site. The world-scale plant, which has an annual capacity of 40,000 metric tons, replaces an existing plant with a capacity of 10,000 metric tons per year. As a result, citral will become the key building block for BASF’s fine chemicals, forming the starting point for the production of vitamins A and E, as well as carotenoids and an extended range of aroma chemicals. Products based on citral are used in animal and human nutrition and in the health and cosmetics sectors. BASF is expanding its polyurethanes activities in Asia with a planned investment in a new specialties site in Pudong, Shanghai. Polyurethanes specialties tailored to the requirements of Chinese customers are to be produced in Pudong from early 2007 onward. Approval for the project is currently being sought from the authorities in Shanghai. Construction is planned to start next year. The project will comprise a polyurethane system house, a Technical Research & Development Center and a production plant for thermoplastic polyurethanes (TPU). These activities will be integrated in one company, BASF Polyurethanes Specialties (China) Co. Ltd. The new site will use the cost advantages provided by the regional Production Verbund for polyurethane: MDI (diphenylmethane diisocyanate) and TDI (toluene diisocyanate) - basic materials needed to produce specialties in Pudong - will be supplied from Caojing, Shanghai. Here, BASF and its partners are planning to start up a world-scale production plant for these isocyanates in 2006. BASF will expand the capacity of its world’s largest plant for MDI (diphenylmethane diisocyanate) in Antwerp, Belgium, from a current figure of 360,000 metric tons per year to 450,000 metric tons per year. The expansion will be completed in the second quarter of 2005. The capacity expansion to 450,000 metric tons is the third expansion within a short period. At the beginning of 2003, BASF expanded the capacity of the plant, which originally had an annual capacity of 230,000 metric tons, to 320,000 metric tons per year. In the same year, additional optimization measures were implemented to bring the plant to its current annual capacity of 360,000 metric tons. In addition to Antwerp, BASF also operates world-scale MDI plants in Geismar, Texas, and Yeosu, Korea. Together with partners, the company is also currently constructing an integrated world-scale production complex for MDI and TDI in Caojing, Shanghai, which is scheduled for completion in 2006. BASF is investing in a new polyisocyanate plant in the Shanghai Chemical Industry Park in Caojing near Shanghai, China. Construction of the plant, with an annual capacity of around 8000 metric tons, is to begin mid-2005. It is scheduled to go into operation at the end of 2006. The resulting polyisocyanates, raw materials for the manufacture of automotive, industrial and wood paints, will supply the entire Asian market. The investment amounts to around $US30 million. The company will build a new compounding plant at its existing Pudong site in Shanghai, China. Construction of the new facility will start in the first quarter 2005. The plant will have an annual capacity of about 45,000 metric tons. It is scheduled to come on stream by end of 2006. In addition, BASF is expanding its compounding facility in Pasir Gudang, Malaysia. The expansion from 30,000 metric tons to about 45,000 metric tons annual production capacity will be completed by the second quarter of 2005. Together with the plant in Pudong, the total investment will range in the double-digit million Euro area. Both plants produce Ultramid® (polyamide PA) and Ultradur® (polybutylene perephthalate PBT) compounds. Raw materials for the plants in Pudong, Shanghai, and Pasir Gudang, Malaysia, will be partially supplied from BASF´s 50-50 joint venture with Toray in Kuantan, Malaysia. The joint venture is designed for an annual production of 60,000 metric tons polybutylene terephthalate (PBT) base resin. BASF announced late Monday $60-mil worth of plasticizer projects in Texas for its planned transition from an ethylene-based plasticizer producer to one which is based on butene. This is meant to coincide with the expiration of an existing tolling agreement with Sunoco, BASF added. BASF has started operation of its new 120,000 mt/year 2-propyl heptanol plant at Pasadena, Texas, following the successful conversion of its former 125,000 mt/year 2-ethyl hexanol plant, the company said in a press statement Friday. As the first part of plasticizer platform restructuring effort at the Pasadena site, BASF said this alcohol production unit is the basis for the company's domestic production of DPHP (di-propyl heptyl phthalate). 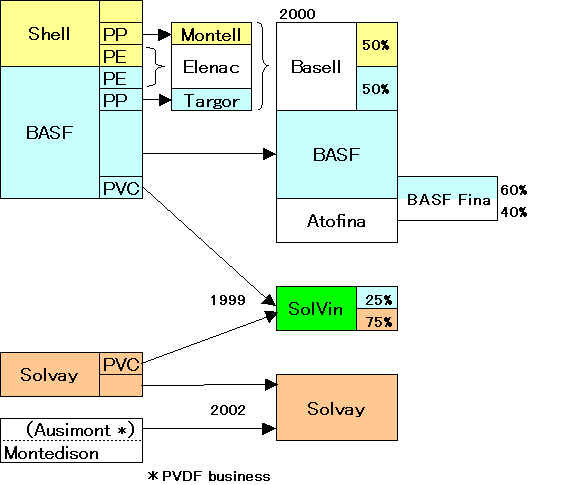 BASF also said start-up of its DPHP and diisononyl phthalate (DINP) unit at Pasadena was scheduled for Q1 2007. The Joliet polystyrene facility has a total capacity of approximately 385,000 metric tons per year and produces general-purpose polystyrene (GPPS) and high-impact polystyrene (HIPS). The company has sold polystyrene in the region continuously since 1992, when the company purchased the Joliet facility from Mobil Chemical. BASF will start up in early 2006 a new plant for the production of its biodegradable plastic Ecoflex® at its Schwarzheide site in Germany, thus almost doubling its capacity for this product. The new plant will have a total capacity of 6,000 metric tons a year, and complements the 8,000 metric ton plant in Ludwigshafen. Ecoflex is a specialty plastic, which belongs to BASF's Styrene Plastics operating division. BASF has acquired Huntsman’s global toluene diisocyanate (TDI) business, effective July 6, 2005. Financial terms for this agreement were not disclosed. The transaction involves Huntsman transferring its TDI customer list and sales contracts to BASF. This agreement does not include any transfer of manufacturing operations or personnel. Huntsman and BASF will coordinate efforts to facilitate an effective transition of supply arrangements and support services for Huntsman’s TDI customers. BASF has TDI production facilities in Geismar, Louisiana; Schwarzheide, Germany; Yeosu, Korea; and, commencing in 2006, in Caojing, China (in cooperation with Chinese partners). Huntsman Corporation (NYSE: HUN) today announced the sale of its toluene di-isocyanate (TDI) business to BASF, effective July 6, 2005. The sale involves the transfer to BASF of Huntsman’s TDI customer list and sales contracts. Huntsman’s Geismar, Louisiana TDI manufacturing plant will not be transferred pursuant to the transaction but will be closed. Commenting on the sale, Huntsman’s polyurethanes U.S. Vice President, Greg Geaman, said, "This sale represents a win-win-win situation for our TDI customers, Huntsman and BASF. We are focused on our MDI (diphenylmethane diisocyanate) business, with TDI representing approximately 2% of our total polyurethanes segment revenues in 2004. BASF's petrochemical hub in Freeport, Texas reduced its total emissions in 2004 by 58% compared with the previous year, and by 84% since 2000, the firm said in a statement. BASF reduced air emissions for 2004 by 9% on the year, and water emissions by 85%. The improvements were made possible, in spite of increased production, by an on-site waste water treatment plant and an $8.5-mil nitric acid recovery process set up in 2001. The process extracts nitrates from by-product streams and converts them into nitric acid, which is then sold or reused. The recovery process reduces water consumption, eliminates waste and generates annual cost savings of $1-mil, BASF said. The Freeport site produces chemicals for a wide range of applications, including the manufacture of adhesives, paints and coatings, nylon and plastics. The firm employs about 600 employees and 300 contractors in Freeport. BASF will expand the capacity of its naphtha steam cracker at its site in Antwerp, Belgium. The expansion project will be conducted during the next regular turnaround of the plant scheduled for the fall of 2007 to avoid any additional shutdown. The investment of about Euro 200 million will raise ethylene capacity from 800,000 metric tons per year to 1.08 million metric tons per year - making the plant the largest single-train steam cracker in Europe. BASF operates other steam crackers in Ludwigshafen, Germany; Port Arthur, Texas; and Nanjing, China. BASF aims to achieve 10 percent of its global sales and earnings in the chemical business in China by 2010. The importance of the company’s activities in China was stressed in a press conference in Nanjing on the day before the opening ceremony of the company’s first Verbund site in China. The site is the largest single investment in BASF’s 140-year history and an integral part of BASF’s strategy in the Asia Pacific region. BASF has, therefore, commissioned the German Society for Technical Cooperation (GTZ) to carry out a study to analyze the economic, environmental, and social effects of its investment in Nanjing. BASF is to increase its production of medium molecular weight polyisobutene (MM PIB), which is marketed worldwide under the Oppanol(R) trademark. It will increase capacity for MM Oppanol(R) at its Ludwigshafen, Germany, site by 6 000 tonnes to a total of 18 000 tonnes per year. Work on extending the plant is expected to be completed by the middle of 2007. BASF is raising its European profile in order to be even more successful in a fast and dramatically moving environment. The company presented its new Europe Strategy 2015 at a press conference in Ludwigshafen today. Over the next few years, BASF wants to outperform the market, in this way winning market share, cooperating more closely with its customers, and expanding its market position even more systematically in certain countries. The HPPO plant will be fed with hydrogen peroxide (HP) from a second new plant at the Antwerp site. The HP plant will have a capacity of 230,000 metric tons per year and will be constructed by Solvay, BASF and Dow. The 300,000 metric tons per year HPPO plant, which is being built jointly by BASF and Dow, is scheduled to start up in early 2008. BASF has started commercial production at its new amino resins plant outside Shanghai, China, the company announced Monday. The plant is located at BASF Auxiliary Chemicals Co Ltd in Pudong, Shanghai. Amino resins are produced from urea and formaldehyde, and are used commonly as adhesives for plywood or as durable surface coatings. BASF Auxiliary Chemicals Co. Ltd. (BACC) has a strategic role in BASF's global Verbund network with the production of colorants, leather and textile auxiliaries, acrylic dispersions, acrylic copolymers, blending of fire resistant hydraulic fluids and resin products. BACC is established in 1994 and became a wholly owned production facility of BASF in 2000. It has several hundreds employees . BASF Chemicals Co. Ltd. (BACH) was established in 2002 to build and commission an integrated production facility for polytetrahydrofuran (PolyTHF) and tetrahydrofuran (THF) at the Shanghai Chemical Industry Park. The plants are planned with an annual capacity of 60,000 metric tons of PolyTHF and 80,000 metric tons of THF, scheduled to start production in 2005. In 1998, BASF set up a polyurethane system house and production lines for elastomer bumper (Cellasto) used in automobile suspension system in Nansha, Guangzhou, Guangdong. Current capacity for systems is 30,000 metric tons, while 3.2 million parts for elastomer bumpers, supplying customers from the electrical appliance, construction, footwear, automotive, furniture and other industries. BASF has developed its first biodegradable plastic based on renewable raw materials. The plastic Ecovio（R） consists of 45 percent polylactic acid, a material obtained from corn (maize). The other component is BASF’s existing biodegradable plastic Ecoflex(R), which is derived from petrochemicals. BASF plans to start marketing Ecovio(R) in Europe next spring. The product is also to be launched in Asia and North America in 2006. In the production of Ecoflex, the chemists at BASF combine the constituents adipic acidアジピン酸, butanediol and terephthalic acid to form the finished polymer. The length of the molecular chains along with their branchings 分岐 and interconnections affects the properties of the biodegradable plastic. This variable composition allows Ecoflex to be used as a molecular construction kit for making customized products. Regardless if they are formed as flexible films or sturdy containers, they are always biodegradable. The fact that the constituents are derived from petrochemicals has no effect on the biodegradability. BASF Aktiengesellschaft, the world's leading chemical company, has made an all-cash proposal to acquire all outstanding shares of common stock of Engelhard Corporation, Iselin, New Jersey, USA, a Fortune 500 company and leading supplier of goods for catalysis and surface finishing, for US$37.00 per share or an aggregate of US$4.9 billion. This price represents a 23% premium above the December 20, 2005 closing price of Engelhard's stock of US$30.05 and a 30% premium over Engelhard's 90-day average share price (VWAP) of US$28.42 as of December 20, 2005. This price also represents a premium to Engelhard's 2005 year-end closing price of US$30.15 and to the four-year-high closing price of US$32.49 achieved on July 14, 2004. Engelhard Corporation (NYSE:EC), one of the largest surface and materials science companies in the world, today announced that its Board of Directors has unanimously approved a recapitalization plan consisting of a self-tender offer for 26 million shares for $45 per share in cash, continued execution of the company's business strategy and incremental cost savings the company expects will deliver $15 million annually beginning in 2007. The 26 million shares represent approximately 20% of the company's outstanding shares including exercisable options. Engelhard also announced that its board has unanimously rejected a BASF proposal of $38 per share made in response to the company's request for BASF to increase its offer following BASF's access to non-public information. Approval of the recapitalization plan completes a value-maximization process Engelhard's board authorized in January after determining BASF's unsolicited offer of $37 per share was inadequate and not in the best interests of Engelhard shareholders because it does not adequately recognize the company's current performance or future prospects. The board made the same determination with respect to BASF's $38 per share proposal. BASF Aktiengesellschaft announced today that it signed a definitive agreement with Engelhard Corporation. According to the agreement, Engelhard will recommend that Engelhard shareholders tender their shares to BASF in exchange for $39 per share in cash and will withdraw its $45 per share self-tender offer for approximately 20 percent of the company’s shares. BASF’s $39 per share all-cash offer for all of the issued and outstanding shares of common stock of Engelhard Corporation is scheduled to expire at midnight, New York City time, on Monday, June 5, 2006. BASF will expand its North American engineering plastics manufacturing operations with the installation of compounding capacity at its Altamira, Mexico, site, the company said in a press statement Thursday. Diversa Corporation and BASF announced today that they have entered into a broad alliance that will leverage Diversa's leadership position in novel enzyme development and BASF's expertise in biotechnology, process development, product applications, and global marketing and distribution. Under the agreement, Diversa will be responsible for discovery and optimization of new enzymes, and BASF will be responsible for product and process development and all commercialization matters. BASF Aktiengesellschaft, Ludwigshafen, reached an agreement with Degussa AG, Dusseldorf, to acquire Degussa’s construction chemicals business. The purchase price for equity is just under Euro2.2 billion. As a result, the transaction value for BASF is Euro2.7 billion. The transaction, which still requires approval from the relevant authorities, is expected to close by the middle of 2006. In fiscal 2004, Degussa’s construction chemicals division posted sales of approximately Euro1.8 billion and an EBIT of Euro201 million, with a global workforce of about 7,400 employees. As the market and technology leader as well as the largest supplier of construction chemical products, the division markets about 40,000 products worldwide and is organized in two segments - Admixture Systems and Construction Systems. BASF plans to increase its existing production capacities for acrylic acid and superabsorbent polymers (SAP) in Antwerp and for butylacrylate in Ludwigshafen. The plans involve increasing the capacity of the existing SAP plant at the Antwerp site from the current figure of 115,000 metric tons to 175,000 metric tons annually. Capacity for the precursor acrylic acid will be extended as a result. A second plant with a capacity of 160,000 metric tons is to be built to back the existing acrylic acid plant. The additional acrylic acid produced will be needed for SAP production in Antwerp and will supply additional volumes for Ludwigshafen as part of the European integrated production system: Plans to expand the capacity of the existing butylacrylate plant in Ludwigshafen will cause increased demand for the precursor, acrylic acid. The new capacities will be available by 2008 at the latest. BASF plans to increase the existing production capacities for polyols at its Verbund site in Geismar, Louisiana. In addition, BASF plans to transfer a major part of the polyol production from its site in Wyandotte, Michigan, to Geismar. These measures will lead to an increase in the annual capacity of polyols in the U.S. from currently 250,000 metric tons (including external tolling arrangements and purchases) to 350,000 metric tons in 2008. BASF’s own capacity will better support the existing business and replaces to a large extent external tolling arrangements and purchases. BASF has also successfully completed its acquisition of a dinitrotoluene (DNT) manufacturing plant in Geismar from Air Products and Chemicals Inc., Pennsylvania, for $155 million. The transaction has already received all necessary regulatory approvals. DNT is an important raw material for the production of toluene diisocyanate (TDI), a polyurethane basic material used in various applications such as seat cushioning foams for furniture and automobiles. The DNT plant will supply BASF’s TDI plant in Geismar, which has an annual capacity of 160,000 metric tons. Ultrason(R) is produced exclusively in Ludwigshafen. Global marketing and application development are also managed from Ludwigshafen. BASF, Ludwigshafen, Germany, today announced an agreement to acquire resins manufacturer Johnson Polymer, a subsidiary of JohnsonDiversey Inc. of Sturtevant, Wisconsin, a U.S. cleaning and hygiene products manufacturer. The respective agreement signed on May 1, 2006 provides for a sale price of $470 million on a cash and debt-free basis. Both companies have agreed not to disclose additional financial details of the deal. The transaction, which is still subject to approval by the relevant authorities, is expected to close by the end of June 2006. The parties are also seeking the advice of the Johnson Polymer B.V. (Netherlands) works council prior to finalizing the transaction. Johnson Polymer is one of the world's leading producers and suppliers of water-based resins. Resins are important raw materials for the production of coatings in the automotive, wood, packaging and printing industries. Johnson Polymer's water-based product range complements BASF's existing portfolio, which concentrates mainly on high-solids and UV resins. Johnson Polymer is a member of the SC Johnson family of companies and has operations around the world. Johnson Polymer is a leading global innovator of polymers that address environmental, health and safety issues such as VOC reduction in inks and paints; food contact safety for packaging materials; and recyclability for paper and plastic. Johnson Polymer produces polymers for use in film printing, overprint varnishes, functional coatings and liquid inks for the packaging and publishing markets. Johnson Polymer produces high solids, water-based polymers used in the Industrial Coatings market to enhance coatings for plastic, wood, metal, maintenance and auto refinish. Johnson Polymer also offers a full line of water-based polymers for the Architectural Coatings market, to improve the performance of products such as exterior and interior modifiers, interior varnishes, exterior and interior stains, and concrete coatings. Johnson Polymer offers flow additives, reactants and compatibilizers, chain extenders and plasticizers into the Plastic Additives market to aid in the recyclability and overall performance of plastic products. Johnson Polymer offers a line of products for use on paper, film and foil substrates. These products include barrier coatings; heat seal additives; and metallization, foil and film primers used in the food packaging (meat, dairy, and snack), label and tobacco packaging markets. Johnson Polymer LLC has reached an amicable agreement with its partner, Toyo Ink Mfg. Co. Ltd., to purchase its remaining shares of the companies’ long standing joint venture, Johnson Polymer Corporation （ジョンソンポリマー株式会社）. On February 10, 2006, JPC will become a wholly-owned subsidiary of Johnson Polymer. BASF Aktiengesellschaft today announced the expiration of its initial tender offer period to purchase all of the outstanding shares of Engelhard Corporation and the commencement of a subsequent offering period. The subsequent offering period will expire at 12:00 midnight, New York City time, on Thursday, June 8, 2006, unless extended. BASF has been informed by The Bank of New York, the Depositary for the offer, that, as of the expiration of the tender offer at midnight, New York City time, on June 5, 2006, a total of 110,456,159 shares or approximately 89% of Engelhard’s outstanding common stock had been tendered into the offer and not withdrawn. Of those shares tendered 18,464,174 shares, representing approximately 15% of Engelhard’s outstanding common stock, were tendered subject to guaranteed delivery. All shares validly tendered and not properly withdrawn prior to the expiration of the offer have been accepted for payment by BASF. BASF Aktiengesellschaft (Frankfurt: BAS, NYSE: BF [ADR], LSE: BFA, SWX: AN) today announced the completion of the subsequent offering period for the outstanding shares of Engelhard. As of 8:00 p.m. New York City time on June 8, 2006, a total of 113,489,680 shares, representing more than 90% of Engelhard’s (NYSE: EC) outstanding common stock, had been tendered into BASF’s initial tender offer and during the subsequent offering period. BASF intends to complete the acquisition of Engelhard through a merger of the acquisition vehicle, Iron Acquisition Corporation, into Engelhard Corporation in which all Engelhard shares not tendered into BASF’s offer or during the subsequent offering period (other than shares held in the treasury of Engelhard or held by BASF or any of its subsidiaries) will be converted into the right to receive $39 per share. Following the merger, Engelhard will be a wholly owned subsidiary of BASF. Under applicable law, the merger is not subject to the approval of the remaining Engelhard stockholders. BASF today (August 1, 2006) announced that an important step in the integration process of Engelhard into the BASF Group has been accomplished with the registration of a new corporate name - BASF Catalysts LLC - in the United States. BASF will extend its brand to Engelhard companies in other regions of the world within the next months based on local registration requirements. BASF is going to expand its annual capacity for manufacturing the special amines aminodiglycol (ADG) and morpholine, from the current 20,000 metric tons to 30,000 metric tons, at its German Verbund site in Ludwigshafen. The expansion of an existing production facility is scheduled to come on stream in the first quarter of 2007. By enhancing its special amines capacity, BASF is responding to the increase in demand by the gas purification and electronics industries. The company makes these products at its Ludwigshafen plant only. BASF today (October 5, 2006) announced that it had achieved in North America annual fixed cost savings of $400 million ahead of its planned target of mid-2007. The savings measures are part of a two-phase restructuring program initiated in 2002 to increase profitability. BASF is pursuing a course of profitable growth in North America through investments and acquisitions and plans to spend over $500 million per year on capital expenditures in the region in 2006 and 2007. ・ A new superabsorbent polymer facility is under construction in Freeport and is scheduled to start operations in 2007. Once completed, this will allow less efficient sites in Aberdeen, Mississippi, and Portsmouth, Virginia, to be closed. BASF is constructing a nylon intermediates unit at Freeport, also to be up and running in 2007. This will enable the closure of a smaller facility in Enka, North Carolina. ・ At the Pasadena, Texas, site $60 million is being invested to expand production capabilities for plasticizers. This will enable BASF to introduce a new plasticizer into the North American market. ・ BASF is also investing $125 million in an expansion of its polyol plant in Geismar, Louisiana, which is scheduled to start up in 2008. A new alkylethanolamines plant, also in Geismar, is scheduled to start operations in 2007. ・ BASF acquired Engelhard Corporation on June 6, 2006. As a result of this acquisition, BASF will become a leading supplier in the fast growing market for catalysts. The acquisition involves 50 production sites and 22 R&D centers in more than 20 countries. Approximately 7,300 Engelhard employees have transferred to BASF as a result of the acquisition. The purchase price for Engelhard shares amounted to $4.8 billion or approximately Euro 3.8 billion. Engelhard posted sales of $4.6 billion in 2005. ・ The acquisition of the construction chemicals business of Degussa AG by BASF was completed on July 1. The acquisition includes production sites and sales centers in over 50 countries as well as an R&D center in Trostberg, Germany. Approximately 7,400 employees have transferred from Degussa to BASF. The purchase price for equity was just under ?2.2 billion. In addition, the transaction was associated with debt of ?0.5 billion. Degussa construction chemicals reported sales of nearly Euro 2 billion in 2005. 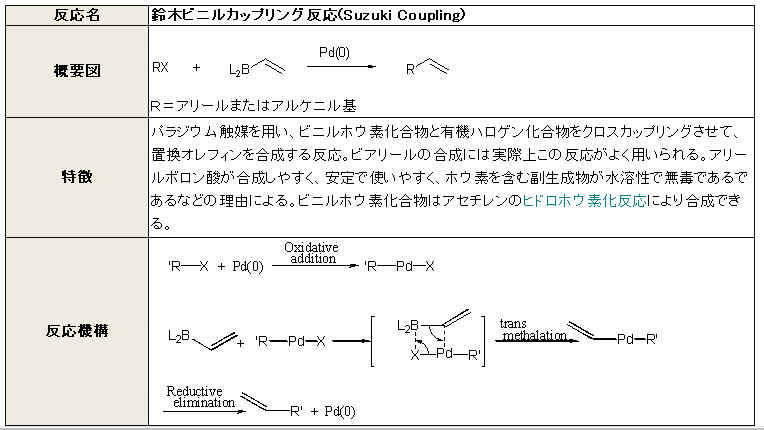 ・ The acquisition of Johnson Polymer was completed on July 1, 2006. It provides BASF with a range of water-based resins that complements its portfolio of high solids and UV resins for the coatings and paints industry and will strengthen the company’s market presence, in particular in North America. The purchase price was $470 million on a cash and debt-free basis. In 2005, Johnson Polymer posted sales of approximately $360 million and had 430 employees worldwide. BASF Corporation, headquartered in New Jersey, is the North American affiliate of BASF Aktiengesellschaft, Ludwigshafen, Germany. BASF employs about 16,000 people in North America and had sales of Euro 9.5 billion (approximately $11.3 billion) in 2005. For more information about BASF’s North American operations, or to sign up to receive news releases by e-mail, visit www.basf.com/usa. BASF will reshape its superabsorbent polymer production capabilities in North America by constructing a new state-of-the-art production facility for superabsorbent polymers at its manufacturing site in Freeport, Texas. As a result, the company will close its Aberdeen, Miss., and Portsmouth, Va., production operations once the new plant is fully operational. The new plant will begin operation in mid-2007. Investment and capacity details were not disclosed. BASF will increase the capacity for its specialty plasticizer Hexamoll DINCH in Ludwigshafen to 100,000 metric tons per year. Hexamoll DINCH is an innovative plasticizer that was especially developed for use in sensitive applications. Demand for Hexamoll has continuously increased since the market introduction in 2002 leading to full utilization of the 25,000 metric tons per year production plant in Ludwigshafen. The additional capacity will be ready for commercial production in the second quarter of 2007. Up to now the main focus has been on toys and medical applications, but in the future food contact applications such as cling film 食品包装用フィルムor sealants will also gain importance. At the beginning of October, Hexamoll DINCH received a positive review from the European Food Safety Authority (EFSA) in addition to the existing recommendation from the German Federal Institute for Risk Assessment (BfR). Hexamoll DINCH is regulated under the global migration with 60 mg per kilogram food. This makes Hexamoll DINCH suitable for a wide range of food contact applications such as cling film, tubes or sealants. Plasticizers are used to give flexibility to normally rigid and brittle PVC, thus opening up a large number of applications in consumer goods. Plasticizers are essential for a large number of everyday-products like flooring, cable insulation, blood bags and cling film. BASF is one of the leading global plasticizer producers with a production capacity of more than 500,000 tons per year, offering its customers the widest range of standard and specialty products based on their individual requirements. Following the acquisition of Engelhard Corporation on June 6, 2006, BASF today (November 2, 2006) announced the full integration of Engelhard into its global operations. BASF expects the integration to result in annual synergies of Euro160 million ($200 million) by 2010. Almost half of this amount will be achieved by 2007 and more than 80 percent by 2008. Contributing to the synergies will be a broader global reach, a stronger business presence in certain regions such as North America, and further extensions into key markets. The development positively enhances BASF’s position as the supplier of choice to its customers through an innovative and more diversified product portfolio. BASF is set to significantly expand its pigment portfolio through the integration of Engelhard Corporation, which it acquired in June. “We are now the supplier with the broadest portfolio in our strategically important markets of the coatings industry and the coloration of plastics”, said Reinhard Leppkes, Group Vice President Performance Chemicals for Coatings, Plastics & Specialties. Effective November 1, Engelhard’s previous businesses for effect pigments and films, colored pigments, pigment preparations as well as the special mineral Attapulgite are part of BASF’s Performance Chemicals division. The integration will be completed by mid-2007. BASF Aktiengesellschaft (BASF) and The Dow Chemical Company (Dow) today announced their decision to conduct a joint feasibility study for the construction of a state-of-the-art production plant for toluene diisocyanate (TDI) and precursors at one of their integrated sites in Europe. The plant would have an annual capacity of 300,000 metric tons and would be the world’s largest such facility ever built. The study will take into consideration factors such as location, technology and infrastructure. Should the project prove viable, the facility would start operations in 2011. Following the joint development of a process to produce propylene oxide on the basis of hydrogen peroxide (HPPO technology), this current venture is the second recent cooperation between Dow and BASF that focuses on the polyurethanes industry. In September 2006, Dow and BASF held a groundbreaking ceremony for their first world-scale HPPO plant at BASF's site in Antwerp, Belgium. Dow and BASF are considering the development of additional HPPO projects in other regions, including Asia. BASF said today that it has signed an agreement to acquire a motorcycle catalyst business in mainland China to meet the growing global demand for emissions-control technology. Founded in 1991, REEcat is a pioneer developer of mobile emission-control technologies in China. The company manufactures and sells catalysts and systems for motorcycles and small engines. The company has a manufacturing plant and a research and development center in Guilin, and sales offices in Guangdong and Chongqing, China. BASF is expanding its production complex for diphenylmethane diisocyanate (MDI) in Antwerp, Belgium, to make it the largest of its type in the world. In the second quarter of 2007, the annual capacity of the two-train plant at BASF’s Antwerp Verbund site is to be expanded from 450,000 to 560,000 metric tons. At the same time, BASF plans to construct two plants at the site for the MDI precursors aniline and mononitrobenzene. The plants will have capacities of 180,000 metric tons (aniline) and 280,000 metric tons (mononitrobenzene) and are scheduled to start operations simultaneously with the MDI expansion. The necessary construction work for these two new plants has already been largely completed. In mid-January of 2007, BASF started the construction of a new plant for the production of the base material DHDPS in Ludwigshafen, Germany. The plant will have an annual production capacity of 6,000 metric tons and is expected to go on line in mid-2008. DHDPS (dihydroxy diphenyl sulfone) is a feedstock for the manufacture of the high-performance plastic Ultrason(R) E (polyether sulfone: PES) that BASF has been producing in Ludwigshafen since the early 1990s. Due to the high demand, the production capacity of the Ultrason plant in Ludwigshafen will be increased from the current 6,000 to 12,000 metric tons per year. Therefore, the need for DHDPS is so large that it pays off for BASF to invest in its own DHDPS plant. The entire quantity of the material made in this new plant will be employed to make the plastic. Up until now, BASF had been purchasing the DHDPS needed for the manufacture of Ultrason from outside sources. DHDPS is produced by means of a new, complex process developed by BASF itself. Implementing the research findings in a large-scale plant as well as obtaining the requisite high-quality DHDPS for further processing into Ultrason posed a great challenge to the researchers. Assistance for the plastics experts came from BASF’s integrated network, the “Verbund”: “Our colleagues from Leather Chemicals have extensive know-how when it comes to the production of DHDPS, which has been made so far in a small plant and in a different grade for a completely different application purpose, namely, for tanning leather. We collaborated with them to transfer the new process to an industrial-scale plant,” explains Matthias Dietrich, head of BASF’s UltrasonR global business unit. BASF is discontinuing its lysine business and will shut down its production facility in Gunsan, South Korea, by mid-2007 to concentrate on its non-amino acids business. Lysine is the only amino acid in BASF’s nutrition portfolio. Over the last three years, BASF undertook an intensive cost reduction program at the Gunsan site. However, due to rising raw material costs, overcapacities and a high dependency on exports, the business is no longer sustainable. The Gunsan site has a current capacity for lysine of around 100,000 metric tons per year. BASF and PETRONAS Chemicals Group Berhad intend to invest USD 500 million in an integrated aroma ingredients project at their existing joint venture site BASF PETRONAS Chemicals in Gebeng, Kuantan. With this investment, the partners will help meet the globally growing demands of customers in the flavor and fragrance industry, especially in Asia Pacific. At the heart of the complex will be a plant for citral and precursor plants. The partners will also invest in downstream production for aroma ingredients including a new world-scale plant for L-menthol and a plant for citronellol. Production will be developed in phases, with the first plants of the project operational in 2016, creating some 110 new employment opportunities. “This investment is built on the solid, long-term relationship with our strategic partner PCG. Since the establishment of our joint venture, BASF and PCG have successfully served the needs of the region with high-quality and innovative products,” said Dr. Martin Brudermüller, Vice Chairman of the Board of Executive Directors of BASF SE, responsible for Asia Pacific. “With this strategic investment we are increasing our contribution to the aroma ingredients market to bring attractive fragrances and flavors to our daily lives. Embedding this investment into our Kuantan Verbund allows our customers to benefit from a global production network for their future growth plans in the Asia Pacific region,” said Saori Dubourg, President Asia Pacific BASF. “The integrated aroma chemicals complex will open up a new business frontier for PCG, tapping into the flavors, fragrance and pharmaceuticals markets. This indeed presents exciting prospects for the company, as we endeavor to provide innovative customer solutions,” said Datuk Wan Zulkiflee Wan Ariffin, Chairman of PETRONAS Chemicals Group Berhad. “The Gebeng expansion adds further value creation to our existing product streams and we are strengthening the joint venture by leveraging on our strategic partner’s technology and expertise in the aroma ingredients,” said Dr. Abd Hapiz Abdullah, President/Chief Executive Officer of PCG. BASF is one of the leading producers of aroma ingredients worldwide, with a product range that includes geraniol, citronellol, linalool and L-menthol. Aroma ingredients are sold to the flavor and fragrance industry, and are used mainly in home and personal care products and fine fragrances, as well as in the food industry and in pharmaceutical applications. Citral is nature-identical to the main component of many essential oils like lemongrass, and is used as fresh-citrus and fruity notes in fragrances and flavors. It is also used in the production of vitamins A and E and as precursor for aroma ingredients. Citronellol is used for a fresh, powerful, and long-lasting rose fragrance, and is an indispensable component for numerous fresh-floral compounds. The cool freshness of L-menthol makes it popular as an ingredient in numerous products in oral care, body care, flavorings and in pharmaceutical applications. BASF and PCG founded their joint venture BASF PETRONAS Chemicals Sdn Bhd in 1997. The company currently operates an integrated complex situated at the Gebeng Industrial Zone, Pahang. The company’s share capital is 60% held by BASF and 40% by PCG with a total initial investment of about MYR 3.4 billion for acrylic monomers, oxo products and butanediol production facilities. In the new project, the partners will invest according to their stake.